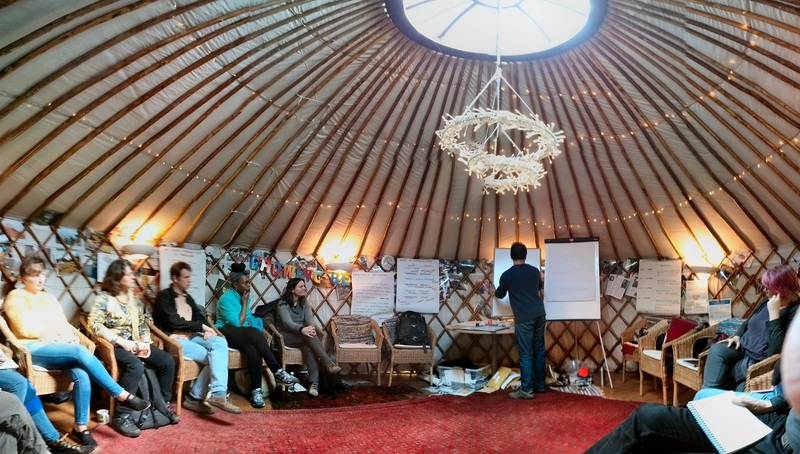 Growing Better Lives present a series of training events and seminars, held in our remarkable yurt at Iver Environment Centre, Slough Road, Iver Heath, Bucks SL0 0EB. 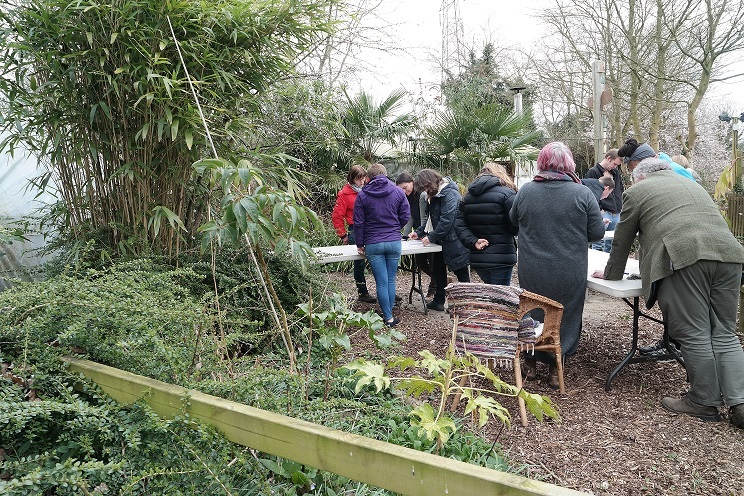 In 2015 we started off with two days of training on Permaculture led by Kevin Mascarenhas on Monday 23 March and Monday 27 April 2015. The intention for day 1 of Integrated Systems Thinking for Mental Health projects was to build an understanding of permaculture, develop an appreciation of thinking in systems and to hear the stories of fellow professionals striving for the same outcomes. Even in just one day, we started practising the art of design thinking. enjoying the setting and taking in the fresh air too. 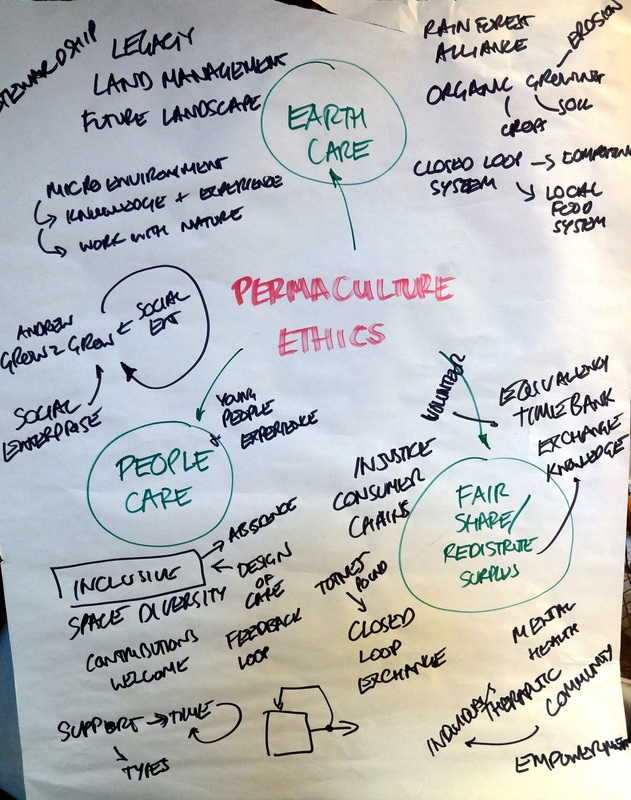 We created the space for looking at permaculture design strategies and mapping them to health care systems and using this to develop new insights. “Very knowledgeable teaching and eliciting of curiosity. In day 2 of this training, we will explore how to use the permaculture thinking framework to support green care projects in the mental health sector. 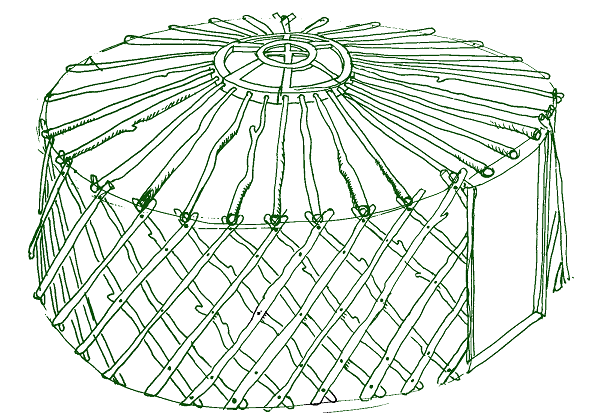 Students will be bringing their live projects for us to work on in a group setting. It’s going to be a fun interactive day on a shared learning journey with hopefully a lot of useful outcomes.